Are you planning a holiday in Southeast Asia? Make time for Northern Thailand, where you can relax in absolute luxury in the best Thai spa in Chiang Mai. Head to Mae Rim Valley and stay in a five-star spa resort with premium amenities. These hotels have world-class spas that are more than just relaxing—they are also designed as sanctuaries for the body, mind, and spirit. You deserve to experience the best Thai spa in Chiang Mai whether you’re going on your honeymoon or simply want to reward yourself for working hard all year. Staying in a spa resort is the best way to celebrate and rejuvenate. 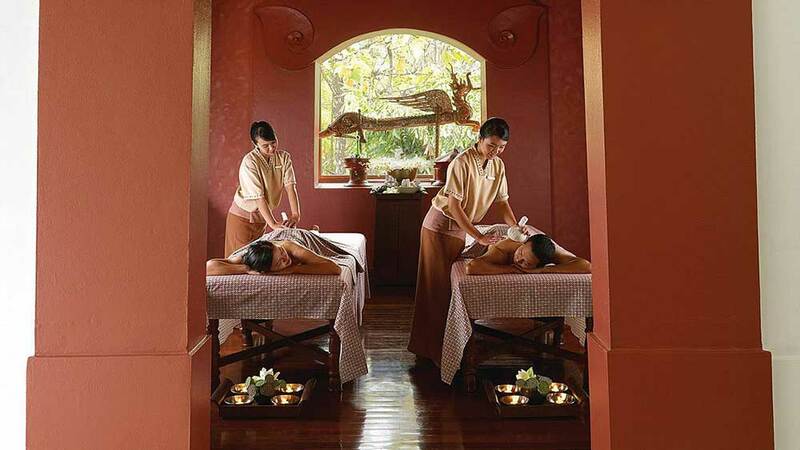 Why not indulge in ancient Thai beauty treatments and massages? The therapists are extensively trained and use only locally grown organic herbs and oils. The spa treatments are based on traditional Thai philosophies of harmony and equilibrium, so you can expect holistic relaxation. The best Thai spa in Chiang Mai offers spacious and private treatment rooms, so you don’t have to worry about sharing the space with other clients. All the facilities are for your exclusive use—from the outdoor showers and soaking tubs to the herbal steam room. Common amenities—such as the beauty salon—are among the finest in this part of Northern Thailand. You can get a Thai hair wash, head massage, or simple shampoo and blow dry services after your massage, or to prepare for a special date night. Another thing that sets the best Thai spa in Chiang Mai apart from the rest is the availability of health and wellness amenities. There are tennis courts, heated pools and whirlpools, biking and walking trails, and many more. You can even sign up for private yoga, Reiki, or Pilates lessons before or after your visit to the spa. Share, Please cChoose Your Platform! Thai Spas in Chiang Mai: Your Perfect Wellness Retreat! – Lana Thai Villa on Thai Spas in Chiang Mai: Your Perfect Wellness Retreat! Lana Thai Villa is a private residence in the grounds of The Four Seasons Hotel Chiang Mai. Lana Thai Villa operates completely independently from The Four Seasons Chiang Mai and is in no way associated with their brand. For details of The Four Seasons Chiang Mai please click here.